I posted a photo of this recipe I made months ago on Instagram and promised I would post the recipe on the blog soon after… Well, it’s a bit late but here it is! One of my all-time favourite lunches, made vegan. 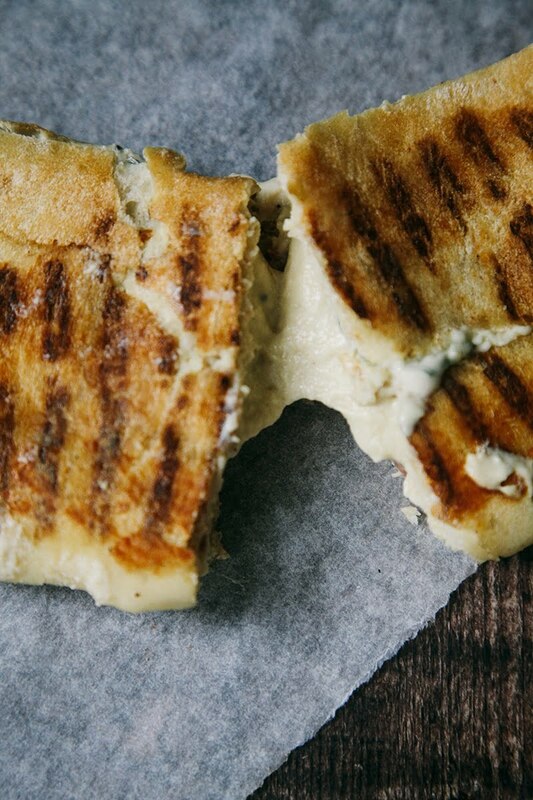 Oh and by the way, you absolutely don’t need to own a panini press or grill to make this because I own neither! You can simply use a dry frying pan and a spatula instead. 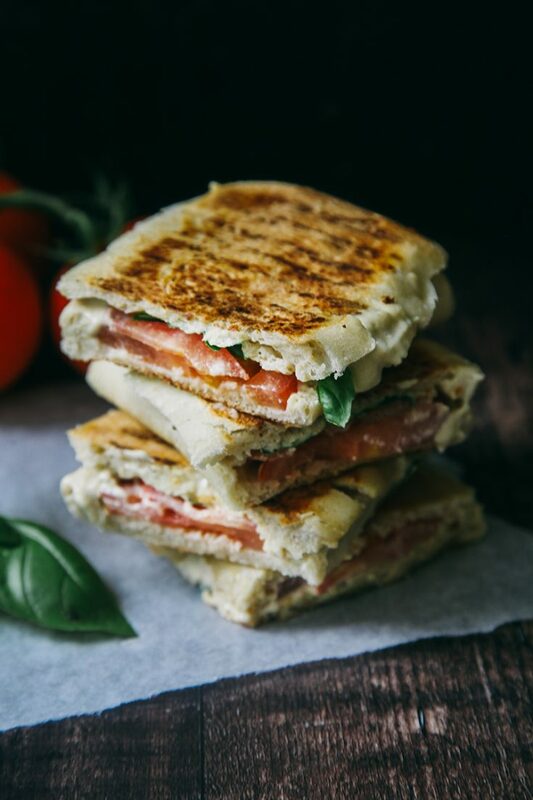 I used to love Cafe Nero’s tomato, basil & mozarella paninis and really had a craving for them so decided to make my own version. And I’m delighted to say – it’s just as delicious! 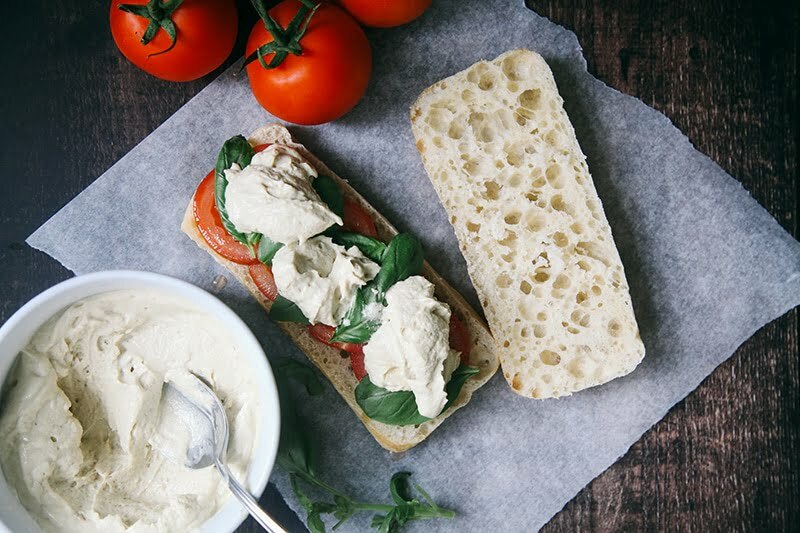 The creamy, stretchy mozarella cheese is made from cashews and if you’re new to veganism or simply can’t have dairy and are missing cheese – you have got to try this. 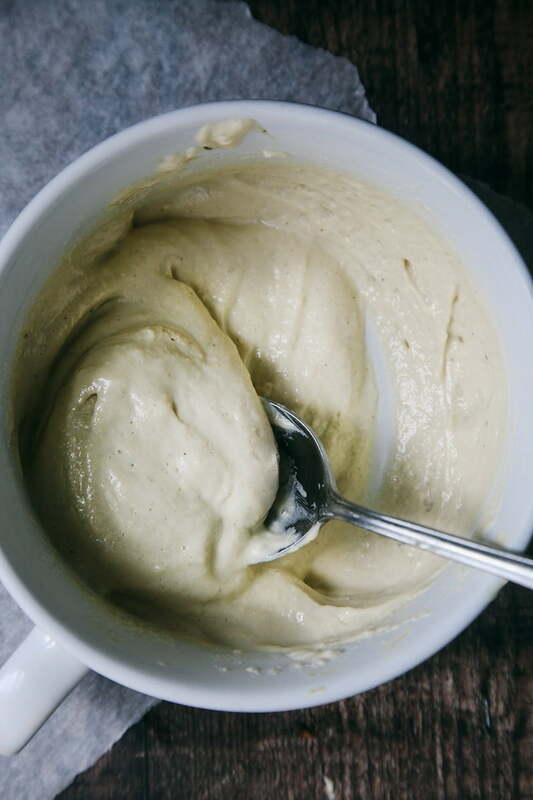 You can find my basic cashew cheese sauce recipe here and this version is the exact same but with the addition of tapioca flour (or arrowroot powder) which makes it gooey and stretchy. Perfect for toasted sandwiches, pizza and pasta dishes! And there are so many variations you can try, really you can add anything you want. I’m going to try it with a bit of dairy-free pesto next time and maybe some sun-dried tomatoes for a stronger flavour. The cashew mozarella is the star of the recipe. First of all, the flavour is incredible and so hard to believe it’s not dairy. Then the addition of tapioca flour (or arrowroot powder) and a quick stir on the hob turns it into a bubbling, gooey, stretchy concoction which makes the perfect cheese for toasted sandwiches and also, by the way, an amazing pizza topping! This is based on my original Cashew Cheese Sauce which I urge you to try, if you haven’t tasted cashew cheese before. It will convert even the biggest of cheese-addicts. An easy, satisfying lunch - no sandwich press required! Add the soaked cashews to a blender with the rest of the ingredients and blend until smooth. 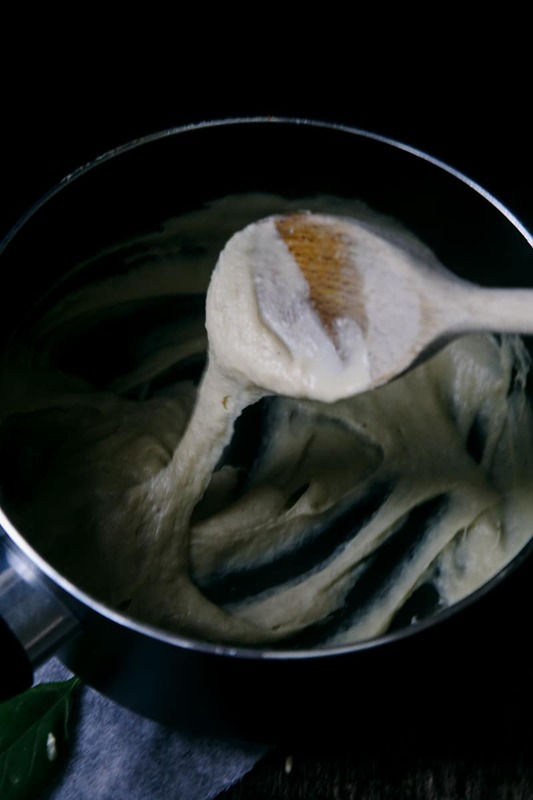 Transfer to a saucepan and stir on a medium heat for a couple of minutes until the mixture starts to bubble and turn stretchy. 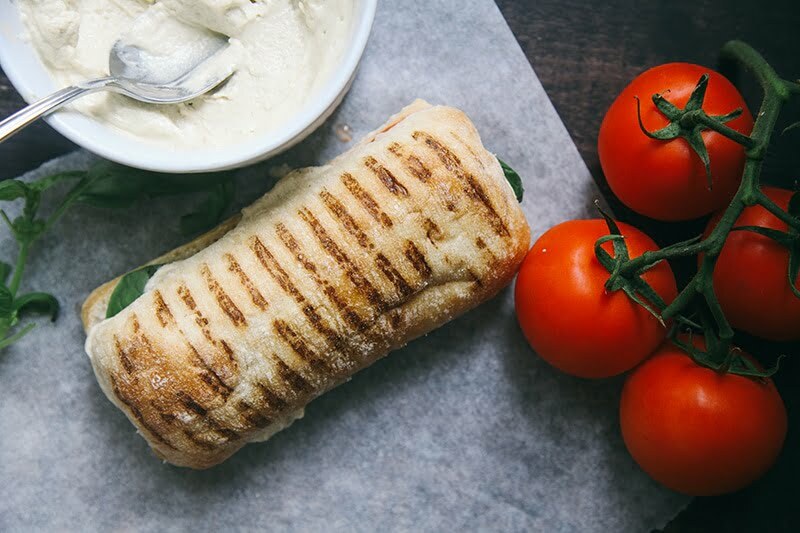 Cut the panini rolls lengthways and spread some cashew mozarella on both sides. 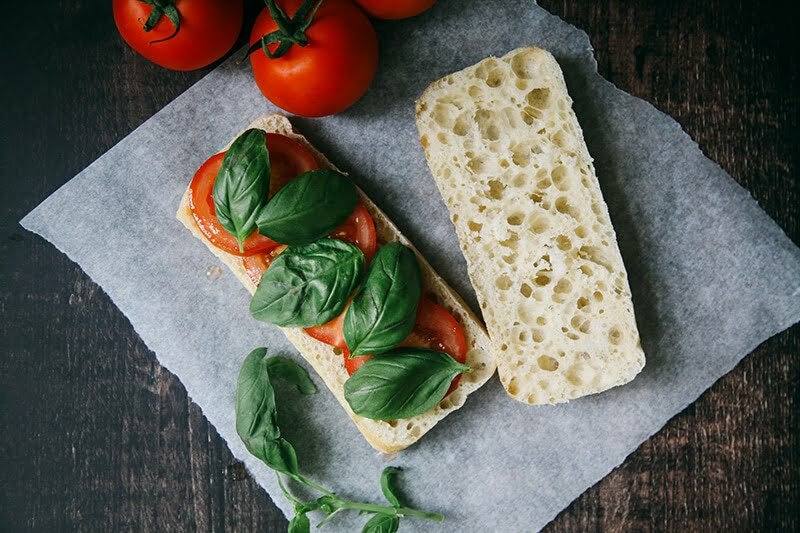 Cut the tomato into thin slices and assemble onto one side of the panini and top with a few fresh basil leaves. 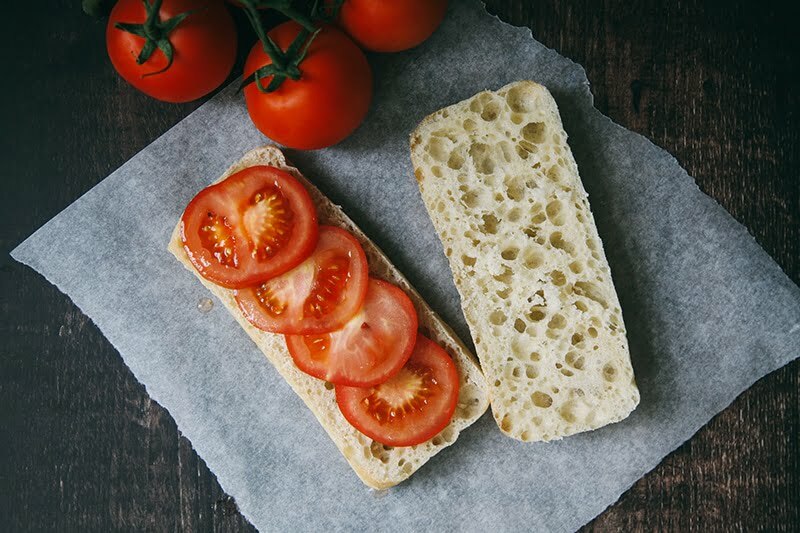 Sandwich the two halves together and either cook in a panini press/grill or place on a dry frying pan on a medium heat and press down, using a spatula, for about 2 minutes on each side. 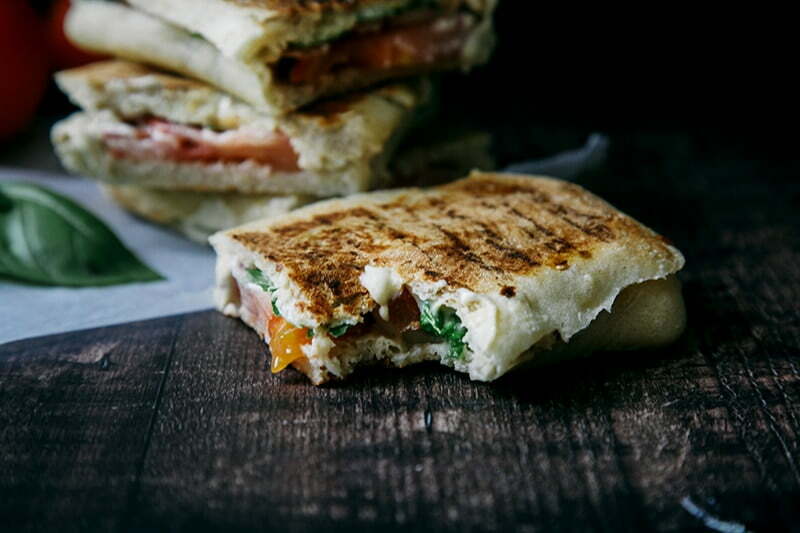 Cut the panini's in half and serve! 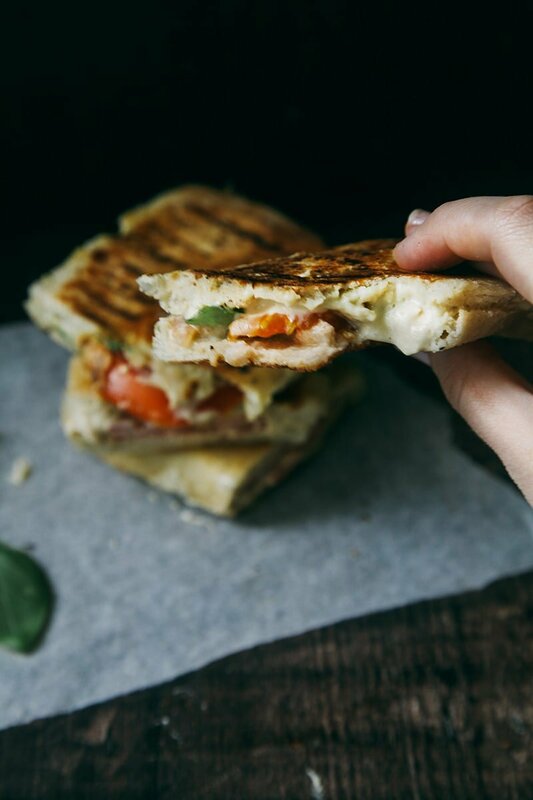 What’s your favourite panini filling? Tell me in the comments! Can you please tell me how much cashews are in this recipe? Thank you so much. Not sure what I did wrong, but thus turned out horribly for me. The cheese was just not good and definitely nothing like mozzarella. Was fun though and inexpensive to try, but wouldn't recommend it. If I already have chashewpaste at home and only need to add the spices, wasabi etc, how much paste would I have to add to the mentioned quantity of ingredients? No wasabi! 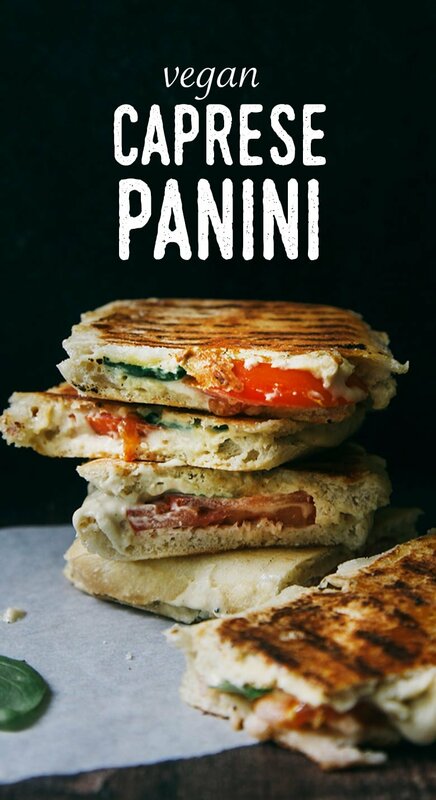 (unless you want it very spicy :)) But you can use maybe 3 generous spoonfuls per panini? However much you like, really. Let me know if you enjoy it! Hi Aimee just wondering can cornstarch be used instead of tapioca flour? Is the quantity the same. Love your recipes! If I make lasagna with this cheese, can I freeze the casserole and then reheat? Will it lose any of it's taste or texture? Thanks. 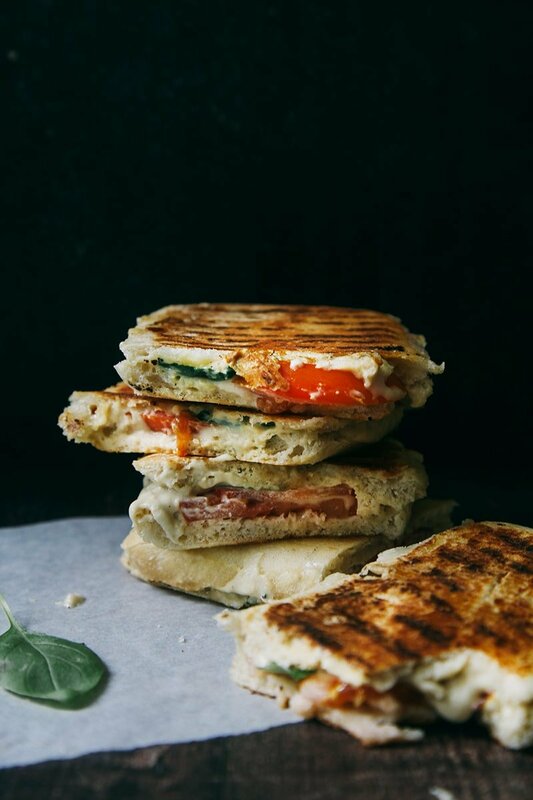 It's an awesome vegan panini recipe. I love that cashew mazzarella. Thank you for sharing Aimee. is the water for saoking only or do you also add 2c water to the soaked cashews? please clarify. Hi Paula, sorry for the confusion, you use the water for blending. What is a cup of water in U.K. Measurements? Need to make this! around 240ml :-) Let me know how it goes! My husband had always wanted a panini maker so I bought hime one for Christmas last year. We use it a lot. It makes sandwiches so much more interesting! I need to try this now with your cashew mozz. It looks delish! I LOVE paninis!!! And caprese is one of my fave flavor combos. So fresh and delicious but fulfilling. This sandwich looks AMAZING! That cheese is calling my name! This looks amazing!! Love that stretchy cheese. Wowzers - that looks insanely delicious. Omg, this looks sooo delicious! I love caprese salad, so of course I'll love this recipe too. Thank you for sharing it! This looks so good! 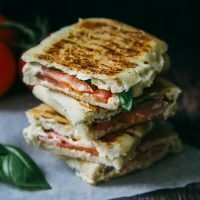 Those fresh tomatoes, vibrant basil, and that gooey stretchy cheese!!! I need this ASAP! Wow I love the simplicity of this - I have tried a similar mozzarella but mine had coconut oil in it which I am not so keen on so now I think I need to try it without any oil. This looks so good. That cashew mozzarella sounds amazing too. Wow, you nailed this!! I can't get over that first picture; I really thought it was melted dairy cheese! Awesome recipe!